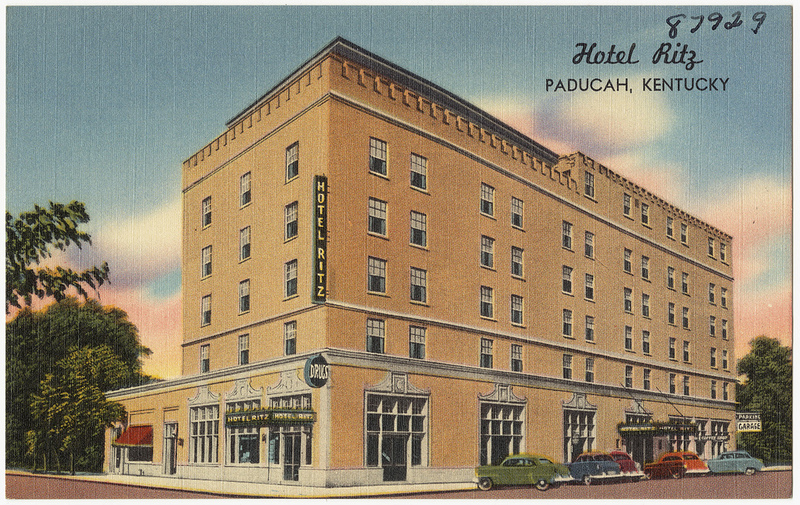 Paducah, Kentucky, gets its name from the Comanche Indians, who used to inhabit the area. It is a quaint, Southern city with a large, historically preserved downtown area. In addition to the picturesque period architecture, Paducah is home to many wonderful dining establishments. Check out this list of the top 10 local restaurants to visit in Paducah. Flamingo Row offers more than good meals. It brings guests an entire dining experience. The restaurant is styled to be reminiscent of the Caribbean. Its high, warehouse ceilings are painted aquamarine, and there are many other colorful, tropical hand-painted details and designs throughout. There is even a live iguana! The ambiance is completed by a great selection of reggae music. Some of the fare offered at Flamingo Row includes coconut chicken, grilled Tahitian tuna, and shrimp and grits. All entrées are served with exceptionally fresh produce. The cakes will have you raving, too, a favorite being the Big Fat Cake. Flamingo Row is certainly a must-visit during your stay in Paducah. Be warned, though — this place gets crowded! Located in the heart of historic Paducah, Cynthia’s Ristorante is a hidden gem. Its outstanding decor gives it a rustic, Italian flair. The interior consists of exposed brick wall and terra cotta–colored accents, complete with beautiful stained glass and sultry lighting. Though the aesthetic is Mediterranean, Cynthia’s actually serves a variety of foods, from Indian-inspired dishes like mahi mahi over basmati rice to more traditional Italian fare, like the pork chop stuffed with Italian sausage. Round out your meal with the perfect selection of wine to match. This restaurant is good for a date or special occasion, because dinner at Cynthia’s Ristorante will give you a night to remember. This classic diner from the drive-in era will make you feel like you’ve stepped back in time to the 1950s. This mom-and-pop restaurant really dates back to those times! The interior is made retro with the help of purple booths and neon lights, pinball machines, a jukebox, checkered floors, and photos of iconic figures from the ’50s. Parker’s Drive-In Restaurant offers quintessential diner fare like malted milkshakes, burgers, French fries, and sundaes and other ice cream creations. Additionally, Parker’s has more diversified menu items like hot tamales and catfish. It also provides a Sunday breakfast buffet. Parker’s is a place that’s fun for the whole family, all for a great price. This open-air sports bar offers more than the rest. Menu items range from lamb sliders, Cuban sandwiches, and waffle fries to seared fish and calamari — all of which are consistently good and come in large portions. The extensive bar allows for a wide variety of beverage options including beers, champagne, and Moscow Mules. For dessert, go with JP’s decadent peanut butter pie. Catch some live music on Saturday nights in the courtyard, too. JP’s Bar & Grill is an ideal stop for lunch, as it is located near museums and concert halls in Paducah. This place is casual, and service is attentive and helpful. People come from far and wide to visit Max’s Brick Oven Café, and it’s popular with the locals, too. Dine al fresco on the quiet patio and enjoy a wide selection of beers and wines. The crispy, thin crust pizza comes with fresh toppings like homemade Italian sausage, tomatoes, peppers, and shrimp. More than just a pizza place, Max’s Brick Oven Café serves a wide array of French and Italian cuisine, too, including entrées like lasagna, Delmonico steaks, and even escargot. Save room for the mocha s’mores torte with chocolate bourbon sauce or the sticky toffee pudding with brandy Chantilly ice cream. This no-frills restaurant offers American fare. The hand-cut fries are undoubtedly the best in town. Of course, the remarkable burgers are cooked to juicy perfection. The Back Draft burger with chili on it or the Station Burger, which features bacon in the patty, are definitely top picks. The Station Burger Company also sells soft serve ice cream made the old fashioned way at a creamery. As you might have guessed from the restaurant’s ample firehouse decor, The Station Burger Company supports first responders in the area. In fact, it is not uncommon to see firefighters, police personnel, and paramedics eating here as well. If you’re in Kentucky, you definitely cannot miss out on some real Southern barbecue. Though it may be a bit of a hole in the wall, Dairyette ‘Plus’ prepares its barbecue on-site, and many deem it to be the best in Paducah. With a name like Dairyette ‘Plus,’ you can bet that it will also have excellent, quality dairy products. The vanilla, chocolate, strawberry, and peanut butter chocolate milkshakes are sure to knock your socks off. The interior is decorated with mementos from Paducah past and present, which also makes it a great cultural spot. The service will give you a dose of real Southern hospitality, as the restaurant personnel are cheerful, friendly, longtime members of the community. If you have a sweet tooth, this family-owned restaurant is for you. Try the ‘SINammon Roll Pancakes,’ chocolate covered carrot cake, or the Frosted Flake–breaded peanut butter and jelly. Additionally, Gold Rush Café and Catering serves classic Southern fare that will satisfy the hungriest of diners. Some examples include homemade biscuits and gravy, chicken and waffles, and scotch eggs. This place is a great spot for a substantial breakfast, and it also serves a pretty expansive lunch menu. If you’re feeling daring, try the Barnyard Burger, which features two fried chicken breasts as buns. Located in historic downtown, D Starnes BBQ makes freshly smoked barbecue. Some popular menu items are the pimiento cheese on toast, tender smoked ribs, and moist pulled pork. Sides include the acclaimed fresh vinegar coleslaw as well as classic items like baked beans. Looking to add something nutritious to your lunch? D Starnes BBQ has a salad bar as well. Finish your meal with the coconut meringue or pecan pie, both of which are absolutely delicious. The interior is simple and consists of exposed brick and plaster with green accents; photos of the city’s history are displayed throughout. Pizza by the Pound is the ideal spot for late night indulgence. All pizza is served with thick, doughy crust and piled with gooey mozzarella and a multitude of toppings. Try the beer battered onion rings, too, which are fried to crispy perfection. Its classic American sports bar interior includes an interesting mix of ’50s pinup decor and Elvis and Marilyn Monroe-themed memorabilia. A dinner at Pizza by the Pound wouldn’t be complete without the warm cookie dessert or one of the other specialty pies. Pizza by the Pound is the place to get your comfort food fix.